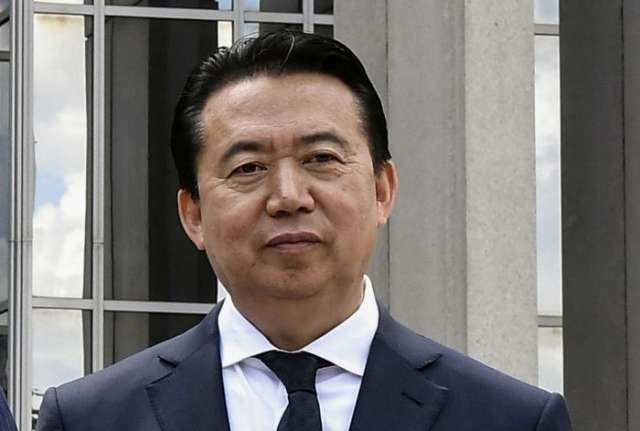 French police are investigating the disappearance of Interpol chief, Meng Hongwei, who was reported missing after traveling from France to his native China, and they have placed his wife under protection after threats, the interior ministry said on Friday. Meng’s wife contacted police in Lyon, the French city where the international police agency is based, after not hearing from him since Sept. 25, and after receiving threats by phone and on social media, the ministry said. A person familiar with the investigation into the disappearance said the initial working assumption of Western investigators was that Meng had antagonized Chinese authorities in some way and had been detained as a result. “France is puzzled about the situation of Interpol’s president and concerned about the threats made to his wife,” the ministry said. Meng’s wife, who has remained in Lyon with their children according to police sources, was receiving protection, it said. “Exchanges with Chinese authorities continue,” the ministry added. China has not commented officially on Meng’s disappearance and there was no mention of him in official media on Saturday. China’s Ministry of Public Security did not immediately respond to a faxed request for comment. It was not clear why Meng, 64, who was named Interpol’s president two years ago, had traveled to China. Hong Kong’s South China Morning Post quoted an unnamed source as saying Meng had been taken for questioning as soon as he landed in China, but it also was not clear why. French police are investigating what is officially termed in France a “worrying disappearance”. Interpol, which groups 192 countries and which is usually focused on finding people who are missing or wanted, said it was aware of reports about Meng’s “alleged disappearance”. “This is a matter for the relevant authorities in both France and China,” the agency said in a statement. Roderic Broadhurst, a professor of criminology at Australian National University, said Meng’s disappearance would be “pretty disconcerting” for people in international bodies that work with China, and could ultimately damage China’s efforts to develop cooperative legal assistance measures with other countries. “It is bizarre,” Broadhurst said on Saturday, adding that China was likely to “brush off” any political damage that it would cause to Beijing’s involvement in international bodies. “It’s a price that might have to be paid, but I guess they would see that as a cost worth bearing,” Broadhurst said. Meng is listed on the website of China’s Ministry of Public Security as a vice-minister, but lost his seat on its key Communist Party Committee in April, the South China Morning Post reported. Meng has almost 40 years’ experience in criminal justice and policing, and has overseen matters related to legal institutions, narcotics control and counter-terrorism, according to Interpol’s website. When Meng was named Interpol’s president in Nov. 2016, human rights groups expressed concern that Beijing might try to leverage his position to pursue dissidents abroad. Beijing has in the past pressed countries to arrest and deport to China citizens it accuses of crimes, from corruption to terrorism. Diplomats say the role of Interpol president is largely ceremonial, with day-to-day work carried out by its secretary general, Juergen Stock, and his staff.